Twitter is a social network that is used by millions of people and businesses daily to share thoughts, information, articles and links of interest with the rest of the world. Each tweet allows you up to 140 characters to make your point, although many tweets do also include links to other articles, pictures, or external websites. From an employment perspective, many recruiters, HR teams and businesses use Twitter to tweet about specific jobs and opportunities that exist, as and when they become advertised or available. This is how, provided you are following the right recruiters or organisations you can really keep you finger on the pulse of what jobs are available. if you are using Twitter in a professional capacity, be it to search for a job, or represent an organisation, you need to understand that your profile and the tweets you write and share are a representation of yourself. Therefore it is important to keep your professional Twitter account professional. Recruiters and organisations look at social media accounts such as Twitter, Facebook and Linkedin to see potential employees’ online activities and factor their findings into decisions just as much as they do with more traditional matters such as references. As Twitter becomes more and more policed, be aware that your online personality will play a part in whether you are regarded as a viable candidate or not! Having a Twitter account is all well and good and we will highlight how you can search Twitter for jobs and recruiters that are local to you. However, you can also make sure that you become part of the Twitter scene, and connect with the people, recruiters and organisations that are specific to the type of job you are looking for, or to the recruiters and people that are local to you, that are in the ‘know’. Find out what recruiters local to you are on twitter and follow them. Find out who the big employers are that are local to you and follow them on Twitter. Make sure that when one of these companies or recruiters tweets about a job opening, you are one of the first people that finds out about the role. It’s fine to simply say “follow the recruiters and businesses that matter”, but how can you do this? Using the Twitter search function simply search using a hashtag (#) and then the relevant subject. If for example, you live in Liverpool and would like a job in Sales and Marketing, a simple search of #liverpool and #salesandmarketing may bring you back some surprising results. Depending on how big the area where you live is you may need to be less specific, but just follow the #recruiters, or #recruitmentagencies in the geographical region that you live. Network, chat and ask the question! Following people, businesses, and recruiters is of course important, but to make it really worthwhile, make sure that you network, chat and get involved with what they are saying. Without overdoing it, engaging them in a little chat, and perhaps Retweeting some of the links and comments that they share, may mean that you start to get noticed and are in a sense on the radar if and when a suitable job may arise. Also, whilst this probably should not be your first interaction, once you have built up a little rapport, it sometimes pays to simply ask if they have any jobs coming up or will be looking to recruit over the coming months. There is no shame in asking the question at least! The only caveat, would be that if you are currently employed, be careful that you current employer does not spot your online activity as well! This is where sending direct messages, rather than a public tweet, may be the more appropriate and safer way to interact! 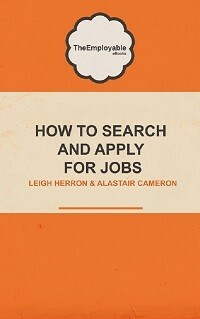 We hope these tips on using twitter to find a job do help. And another little thing, while we are on the subject, here is our shameless plug for TheEmployable Twitter account! Why not check out what we are saying, tweet us to say hi and follow us too!